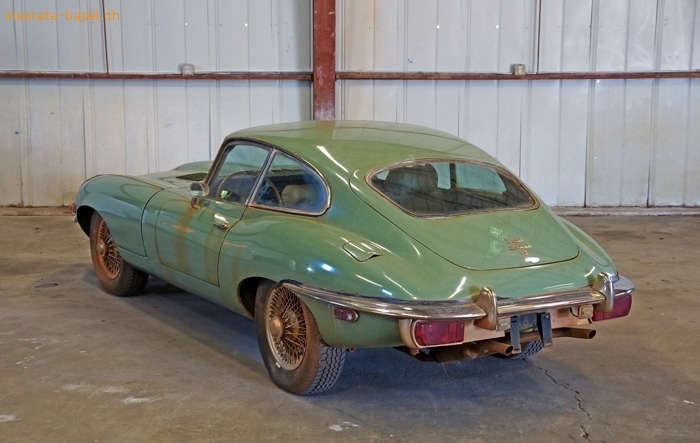 Offered for sale is an extraordinarily original, extremely solid, well-preserved, 100% numbers matching, one owner, 39900 km original 1970 Jaguar E-Type Fixed Head Coupe (FHC) finished in charming and era-specific Willow Green over a Tan leather interior. When looking in the engine compartment, one can see where the belts were removed to take out the water pump and, low and behold, both the original and the new replacement pump are present in the rear luggage compartment, waiting for reinstallation. Always kept out of the elements and properly stored, the car is also incredibly solid. 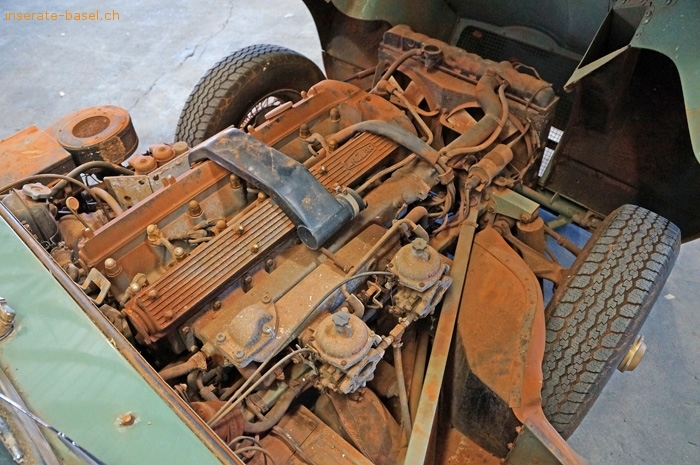 A VERY IMPORTANT NOTE: that's not rust you see in these, our original intake pictures, it's decades worth of Aiken, S.C. clay dust that had worked its way through the cracks of the barn, effectively providing a seal to this correct and desirable time capsule. So here's where we stand on the car: after a perfunctory mechanical inspection, the engine turns freely and we have absolutely no reason to believe that the car won't be as strong mechanically as any other low mileage example following a comprehensive mechanical sorting. 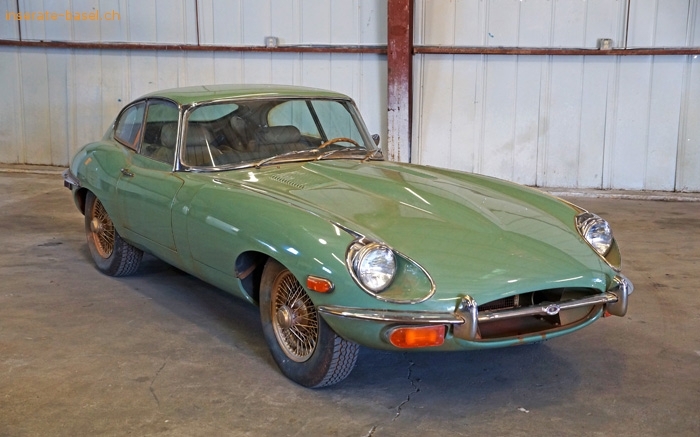 We're seriously considering commissioning that work with our local vintage Jaguar expert, as well as having the entire car thoroughly detailed to preservation class show quality. 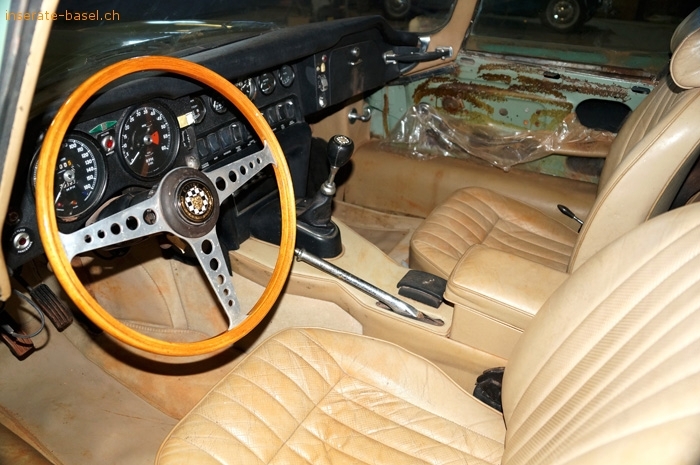 Being as the car is the perfect straightforward project for the enthusiast or an ideal platform for a concours quality restoration, we've decided to offer it in its current state. If we're unable to find a buyer by the end of March, we'll move forward with our planned refurbishment.